Yeah, I know I look like hell. I had a rough day at work and I desperately need a haircut. 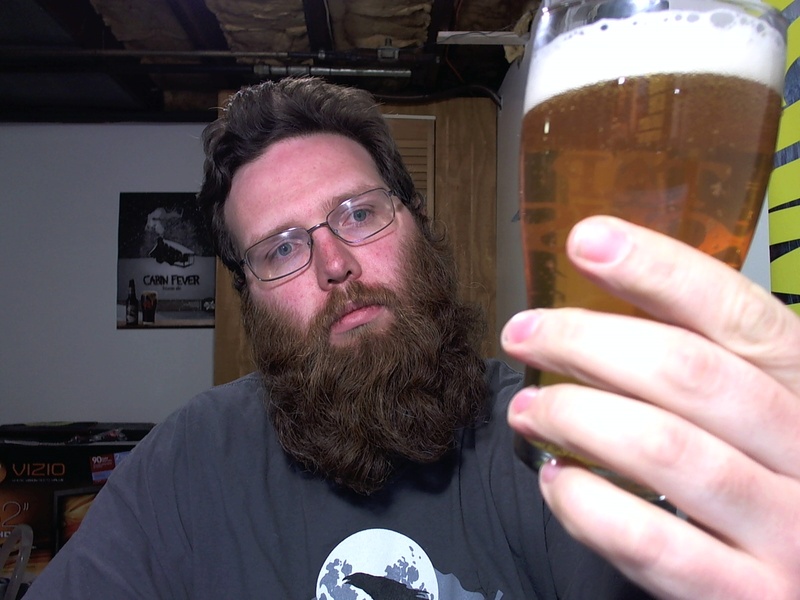 I completely forgot about International IPA Day until this morning, and I had already uploaded a vid. Doesn’t mean I can’t bang out a text review, though. 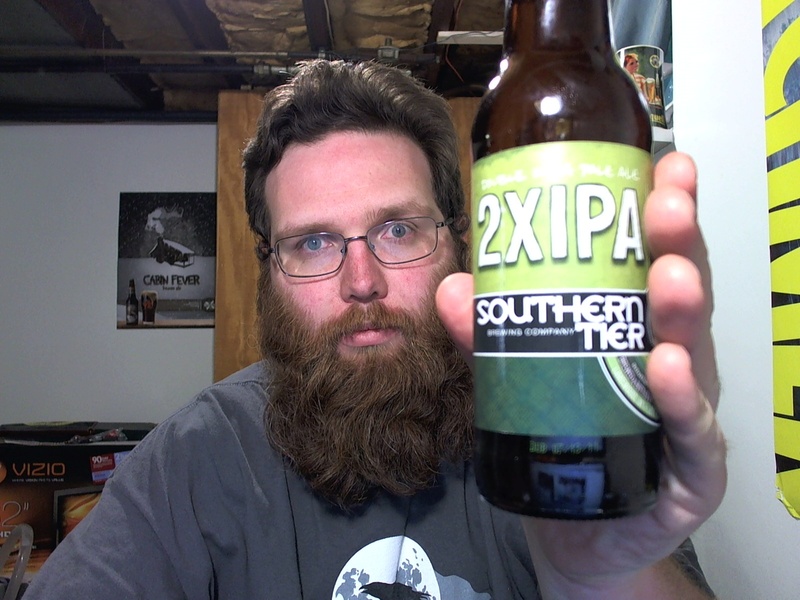 I’m sure I’ve had this beer before, but it’s been awhile Chad lives not too far from Southern Tier and has reviewed just about all of them, which kind of takes them off my radar a bit. 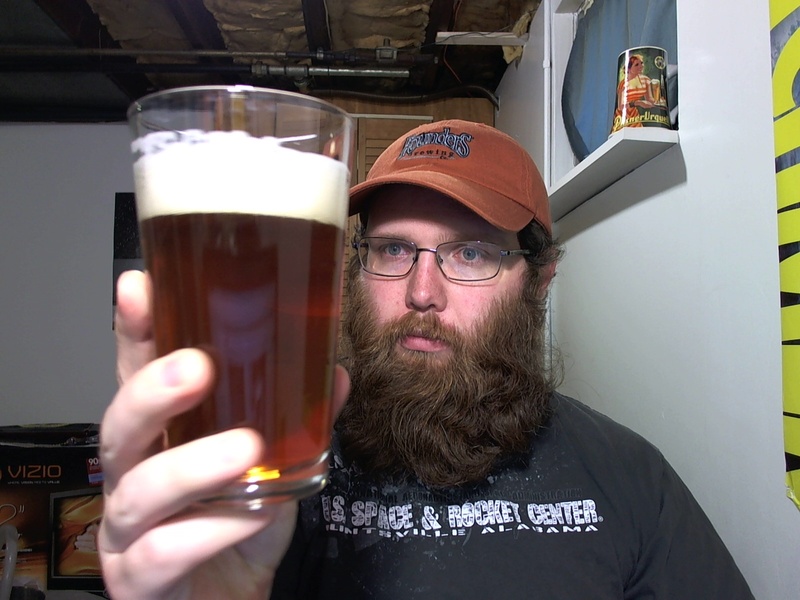 Pours dark yellow/light orange with a thick white head that dissipates pretty quickly. Some carbonation comes from the bottom of the glass. Smells strongly of citrus, nice orange notes, hints of breadiness and a bit of pine. Tastes pretty similar, with a strong “orange juicey” aftertaste. It’s a very sweet IPA, but with a nice bitterness that helps balance it out. I’m not always a fan of big citrus bomb IPAs — I find them a bit one note — but the bready malt backbone helps to make this one stand out a bit better. 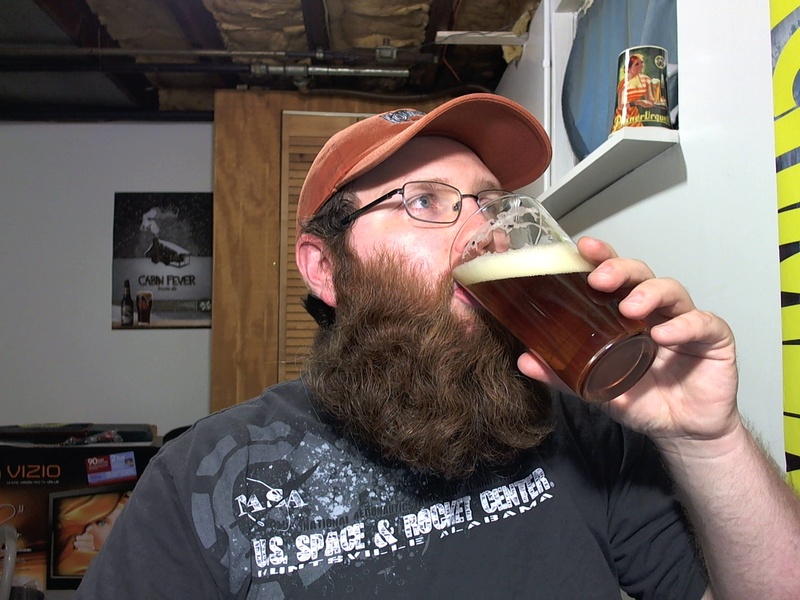 The orange quality also fades a bit as I get deeper into the beer, and is replaced by stronger pine notes. Pretty well balanced between sweet sticky hop qualities and more abrasive bitter ones. This won’t be an every day IPA for me, but it’s a solid offering from a solid brewery. You could do a lot worse.